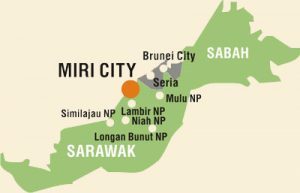 Your full day tour to Niah National Park begins with 2 hours drive from Miri City. After registrations at the Park HQ, proceed onto the tour by first crossing Sungai Niah in a motorized boat and then, 3km plank walk to the entrance of Niah Caves. Guide will show you the excavation sites at the West Mouth of the Great Cave where 40,000 years old skulls was excavated before taking you further into the cave where ‘belian’ poles were erected or attached to the roof by the bird’s nest collectors in order to harvest bird’s nest. At the Moon Cave, a shaft of sunlight shines through an opening at the roof of the cave before you are engrossed in total darkness, the domain of the bats. 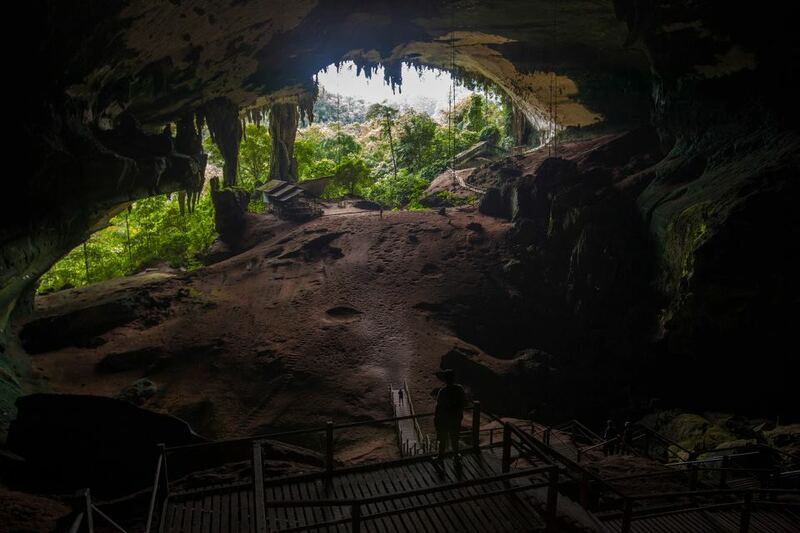 When you emerged into light again, you are well on your way to the Painted Cave where Borneo’s only red haematic paintings, believed to be at least 1,000 years old are found.